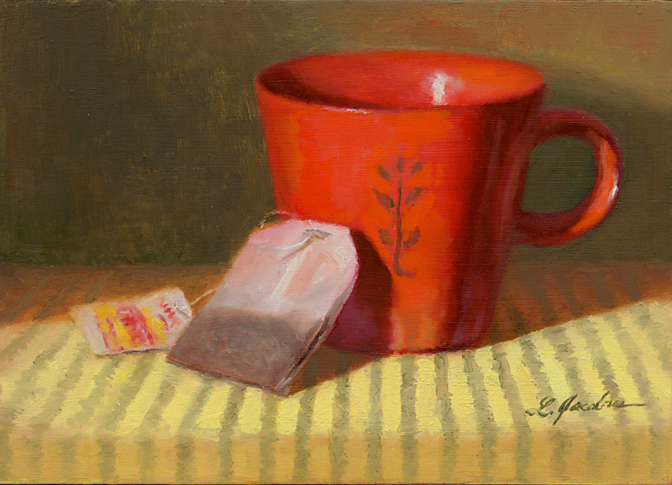 I seem to be using a lot of red objects in my paintings lately. Years ago I would have never dreamed of using so much red. Funny how we change over time. Having a cup of tea always reminds of a time to relax.